Capture your partner's heart with this elegant diamond necklace. 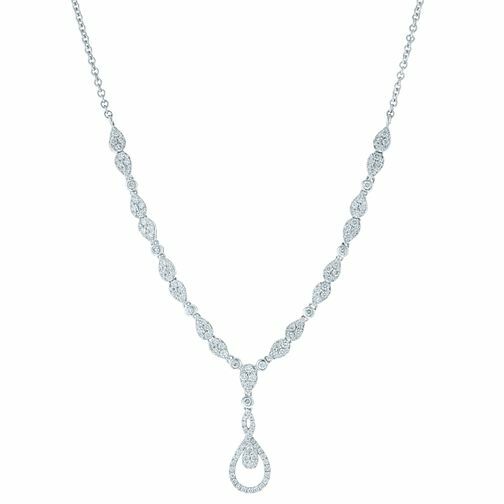 The main motif of the diamond drop is used here as a repeated shape, punctuated by bezel accents with the centre designed as a modified figure of eight. The pavé setting affords the diamonds to cover the piece, for a luxurious and traditional jewellery piece that will be treasured. The total weight of all the diamonds combined is at two carats. Beautiful statement pieces to celebrate your most precious memories.